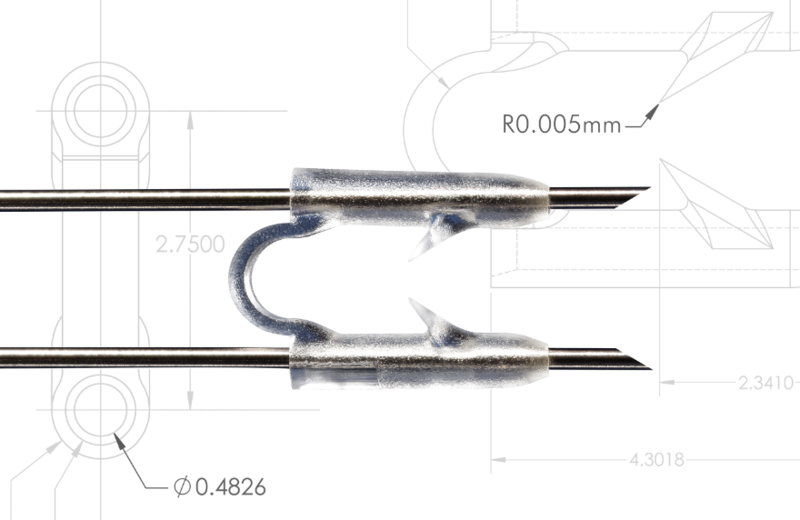 MTD is a focused micro medical device manufacturer that’s built for high performance in one area: the micro molding of advanced medical products. 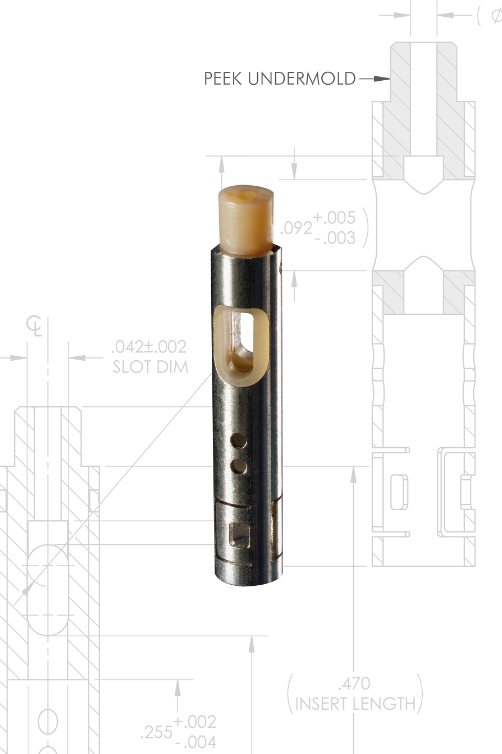 Our experienced team will consult with you to help you refine and develop your design, using the most advanced materials and micro molding technology. We’re here to help our customers it right – from design through production – so companies can produce a high quality device, and get it to market quickly. Medical Micro Molding is what we do. And all we do. Our operation isn’t a small corner of a bigger plant; it’s our entire plant. 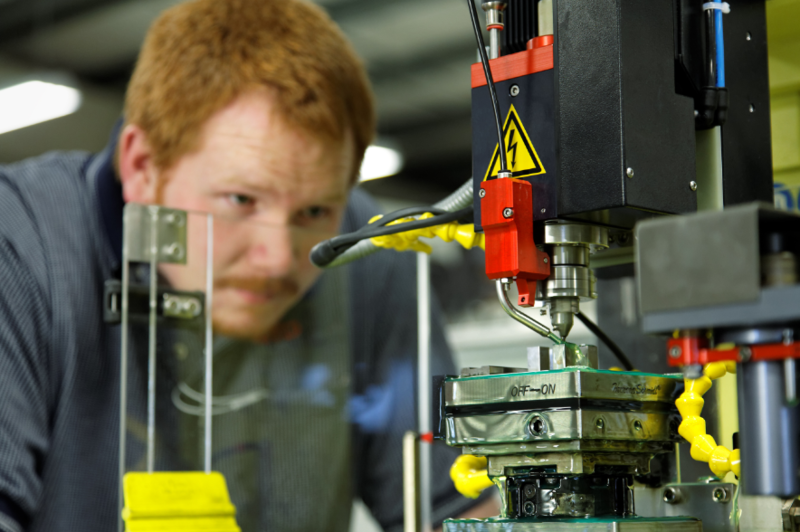 MTD is vertically integrated with tooling operations and molding operations occurring under one roof. 100% of molding takes place in an ISO Class 8 cleanroom environment. MTD is a contract manufacturer for the medical device industry and 20% of our new projects come to us as “rescues” – failed attempts by others. Our success rate with these rescue projects? 100%. MTD produces micromolded components for medical OEMs. 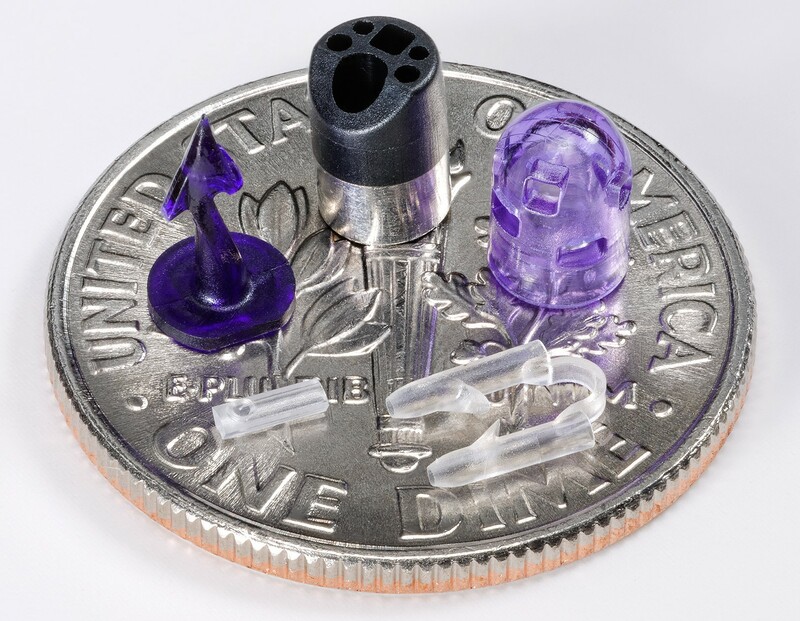 80% of the components we produce are implantable products, with 75% of those being bioresorbable applications. Micro medical devices produced by MTD Micro Molding support a variety of medical categories: Cardiac, Biomed Pharma, Pharmaceutical, Neurosurgical, Bronchoscopy, Oncology, Urology, Orthopedic, Endoscopy, Ears-Nose-Mouth, Acupuncture, Drug Delivery, Gastrointestinal, Men’s and Women’s Health and other areas to help improve life. 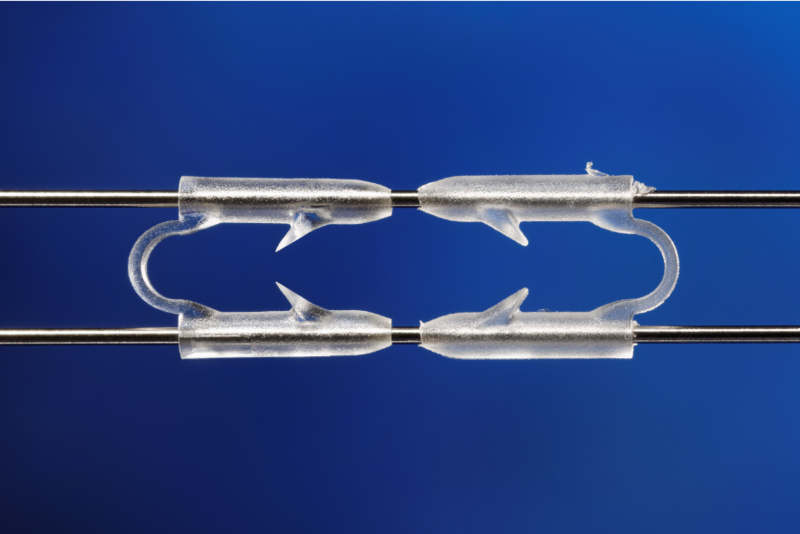 Thermoplastic examples include permanent screws, micro links, ejector rings and bioresorbable examples include absorbable stents, staples, and screws. 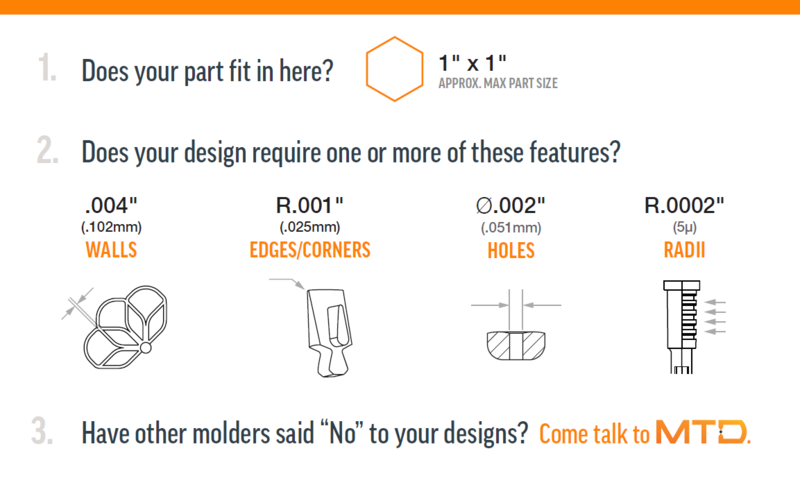 MTD defines micro molding with the 1" rule: it starts with a part that has features you cannot see with the naked eye. You need a microscope either see the part itself or the feature(s) and the fine detail on the component. You can't do micromolding without an extremely precise tool. You can't even make a mold for certain geometry without a Sarix 3D milling machine. 25% of new projects come to MTD as "rescues" – failed attempts by others. Our success rate? 100%. A client approached MTD with their bioresorbable fastener design seeking a product with minimal inherent viscosity loss and crisper features to improve functionality. While most competitors have difficulty realizing less than a 20% IV loss, MTD developed a superior fastener with an IV loss of less than 4%.